It all starts with a hug. Yes, if you came to the 2nd annual Stanstock Music Festival this year, you would understand. 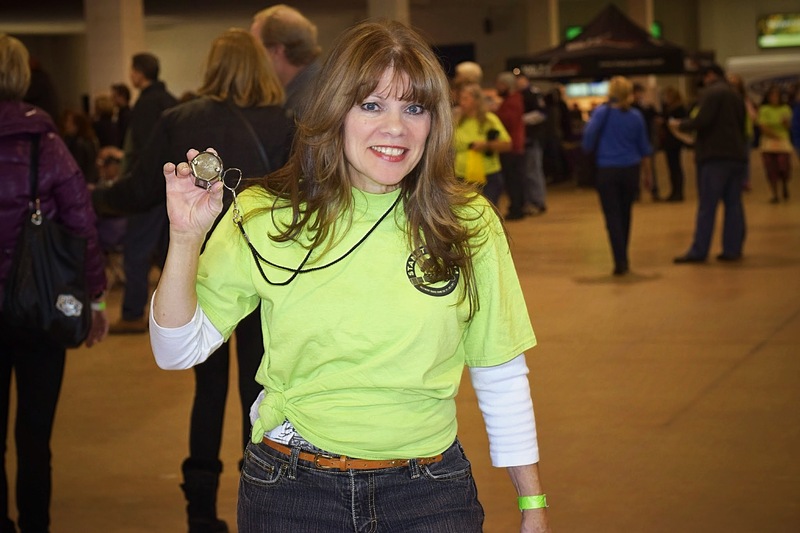 As you walk through the double doors of the Timonium Fairgrounds Exhibition Hall, after you’ve collected your ticket and gotten your hand stamped by Barbara, there is Debra; just barely five feet, long flowing hair, ruby red lips and one job; to hug every man woman and child that enters the hall. It’s a little confusing at first, perhaps awkward for some, but just a few seconds in her arms makes you realize, you are home. Seventeen bands took the stage at Stanstock on this first day and the music was nonstop; no intermissions. As the last note was played on one stage, the show began on the second. While every performer played for free, these guys left it all on the stage with fantastic performances. Zeppelin was well represented this first day. We count at least four bands covering everything from Stairway to Heaven (Patty Reese) to When the Levee Breaks (Never Never, ver. 1.1). If you are a Zeppelin fan, this festival was for you. Despite the Zeppelin homages, this first day was chock full of variety – performed with the kind of heartfelt energy you can only find at any live concert that took place before cell phones were invented. That is not to say that there were not any contemporary acts at Stanstock; Rosabella’s alternative rock was young, fresh, and raw, but with the same authenticity of its predecessors. That means no polish, no tracks, no electronic embellishments, just bass, drums, guitars and raw emotion. Tommy Vann and his band represented the magical music of the 50’s and early 60’s and gave one classy, heartfelt performance. Jam Sandwich really lived up to their name with one epic jam after another, and Spike Settles of Never Never delivered a genius cover of the Woodstock anthem by Crosby, Stills and Nash as his opener, substituting the word “Woodstock” with “Stanstock.” Hats off to you Spike. There were no bad acts at Stanstock Day One (or Day Two), instead there are just too many to mention. That’s why we took pics and video. If you could not be there this year or if you did come, visit our Stanstock pages for the photos and video of this historic Baltimore event. Here is what happened on Day Two. If you did come to Stanstock, tell us what you thought. Stanstock organizers want to know! Don’t forget to hit the HD button! Very nice write-up on Stanstock and also my friend Debra Ciotta, now famously known as “The Stanstock Hugger”! Yes. Deborah. I don’t know who picked “her” to be the official hugger, but they’re a genius! Perfect woman for the job.